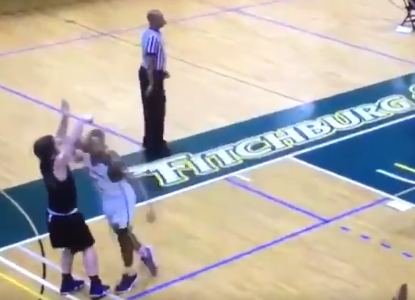 The play, one of the worst cheap shots you'll ever see, happened in the closing minutes of a Division III game and was captured on video for the whole world to see. I don’t think I knew about the existence of Fitchburg State, which competes in Division III athletics in Massachusetts, before this morning. But the small school now has a claim to infamy thanks to one of the worst cheap shots you’ll ever see in sports. I mean, that’s about as bad as you can get. The good news? Nate Tenaglia, the Nichols player who was elbowed and dropped to the ground in pain, not only made the three-pointer but stayed in the game to make both of the technical foul free throws. With the game on the line, the former Wolves point guard will never be the guy you want taking the shot. A key miss Wednesday night reinforced that point.